Seco Tools develop cutting tools, processes and services for high productivity and profitability. Their broad selection of milling, turning, homemaking and tool holding solutions include over 30,000 standard products and custom items. Our team, here at ACT work alongside Seco Tool's dedicated team to create the best technical solutions, as well as provide our customers with the latest high quality, accurate cutting tool innovations. Seco Tools, have shown great success in their new perfomax drill range in recent ACT technical solution tests, alongside many more beneficial cutting tool solutions working alongside our team in partnership. 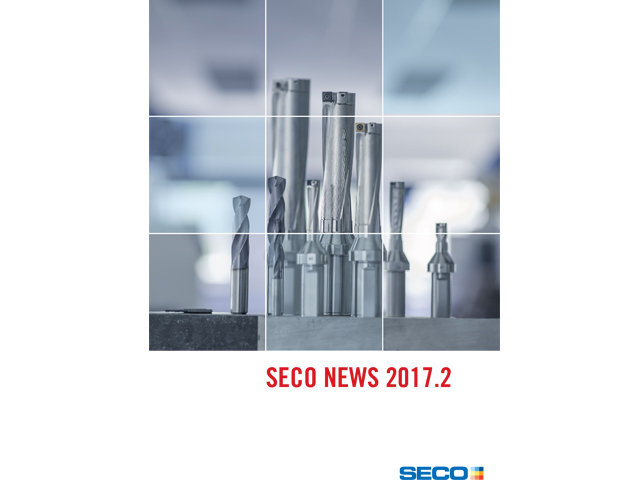 Advanced Cutting Tools are happy to promote the 17-2 update of the Seco Tools catalogue, and hope that you receive many successful cutting tool solutions, in working alongside ourselves and Seco cutting tools. To download the latest version of the Seco Tools catalogue or to interactively navigate online follow the below link.